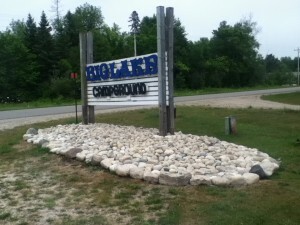 Home › Big Lake Campground › Sign Upgrade! You may have noticed that our sign is 25+ years old…and looked like it. 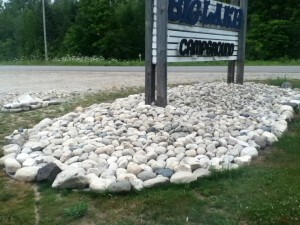 Owner, and rock specialist Holly Lear, has given Big Lake Campground‘s sign a much needed makeover. 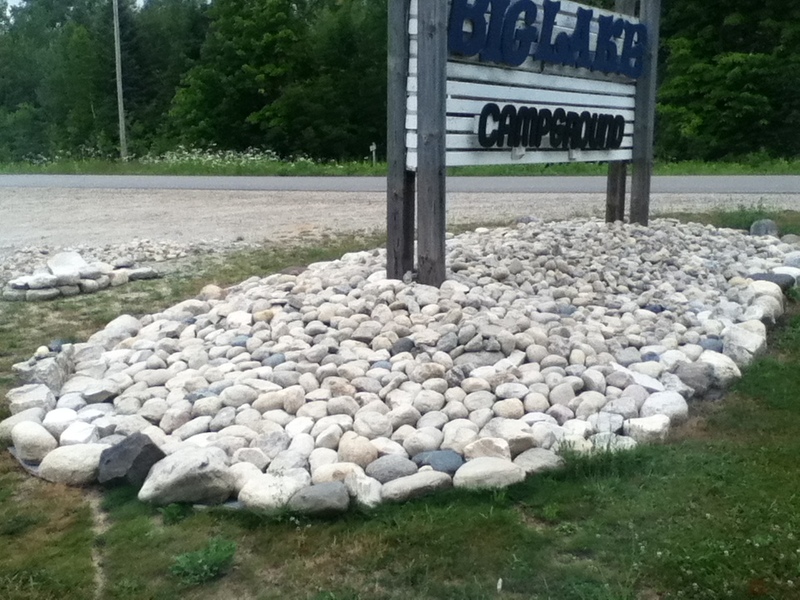 Pulling weeds like the Hulk and desperately improving the visual aspect of our sign has been years in the making. 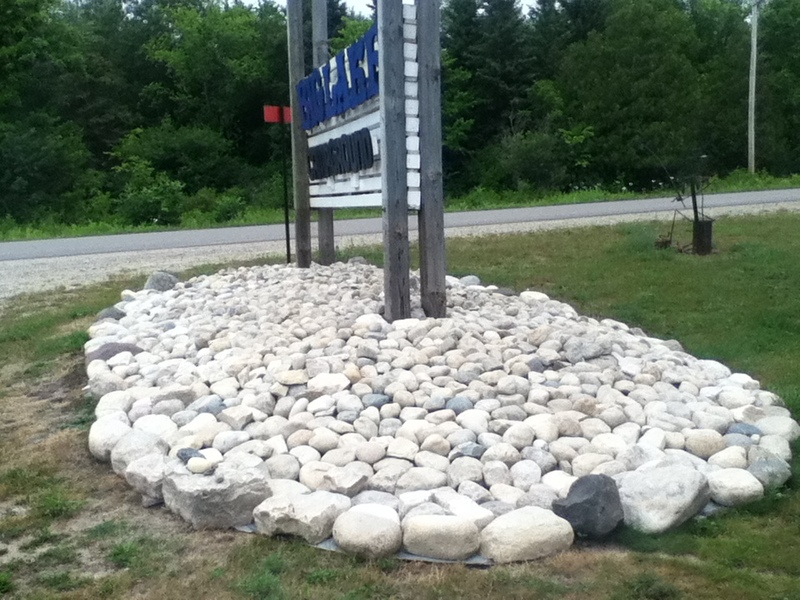 Over the years, we’ve learned our sign has a curse on it for all plants trying to survive near it. Event the plants experts said could live committed suicide under our lovely Big Lake Campground sign. 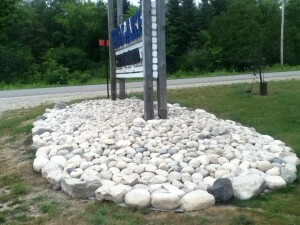 If you happen to drive by and like what our “Creative Director” has done, give her a honk on your way by!